Cleveland, Ohio. 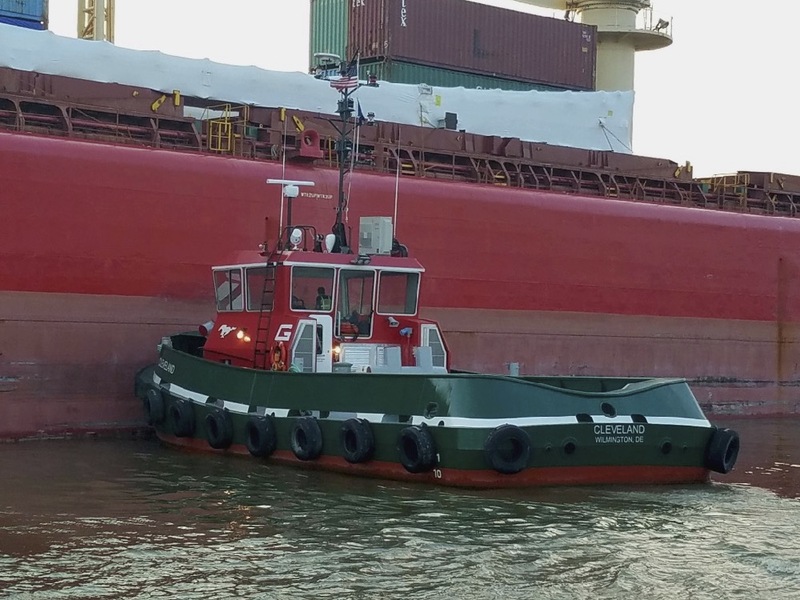 The Great Lakes Towing Company proudly announces the first harbor assist for its tug CLEVELAND; the first tugboat to be built in the United States to meet the new USCG Subchapter M Regulations. 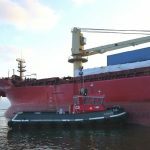 On Monday, July 17, 2017, the tug CLEVELAND assisted the M/V FEDERAL SAGUENAY for Montreal-based Fednav, Canada’s largest ocean-going dry-bulk shipping company. 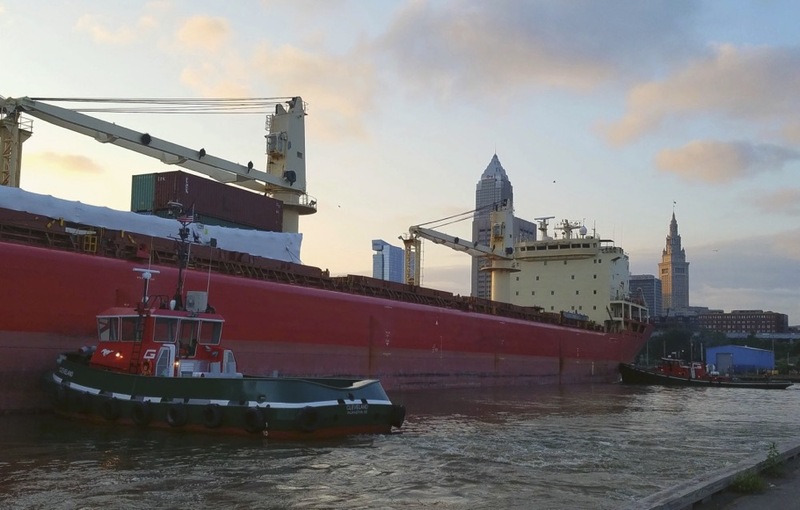 The vessel arrived at the Cleveland Main Entrance at 0600 hours, where the new harbor tug began the assistance, turning the bulk carrier with fleetmate Tug ILLINOIS for a stern first placement at the Port of Cleveland Dock 26. 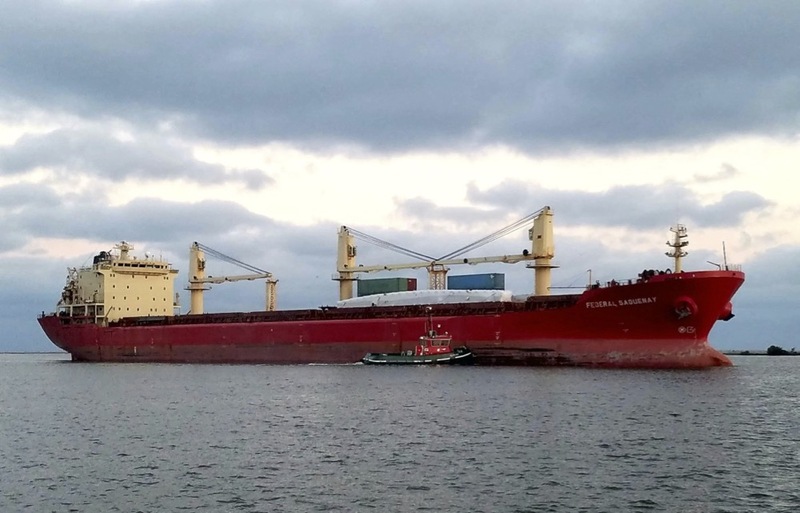 The M/V FEDERAL SAGUENAY originated from Ebsjerg, Denmark and made a stop in Cleveland while en route to Milwaukee, Wisconsin. 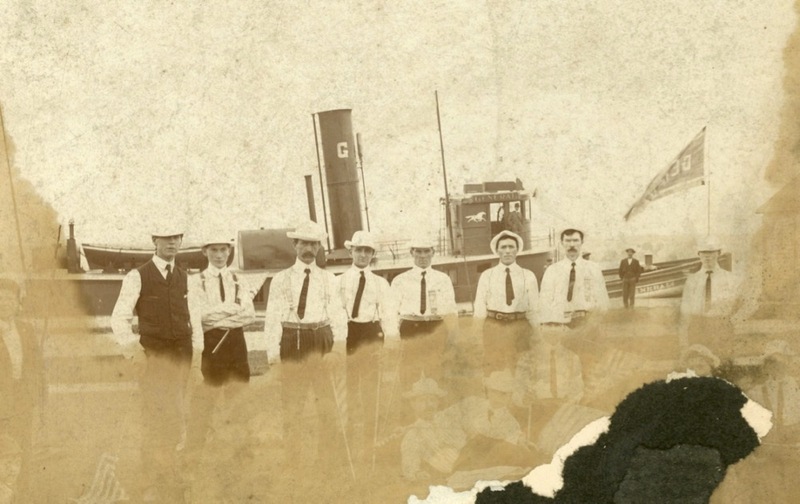 Tug CLEVELAND’s crew included Capt. Brad Sheppard and Deckhand Tim McKenna and Tug ILLINOIS included Capt. 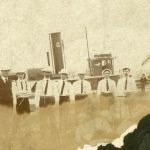 Scott Baker, Crewmen Branden Fadenholz and Aaron Burnett. “This iconic symbol is a nod to The Company’s rich history and tradition of power, salvage, speed and steadfastness. 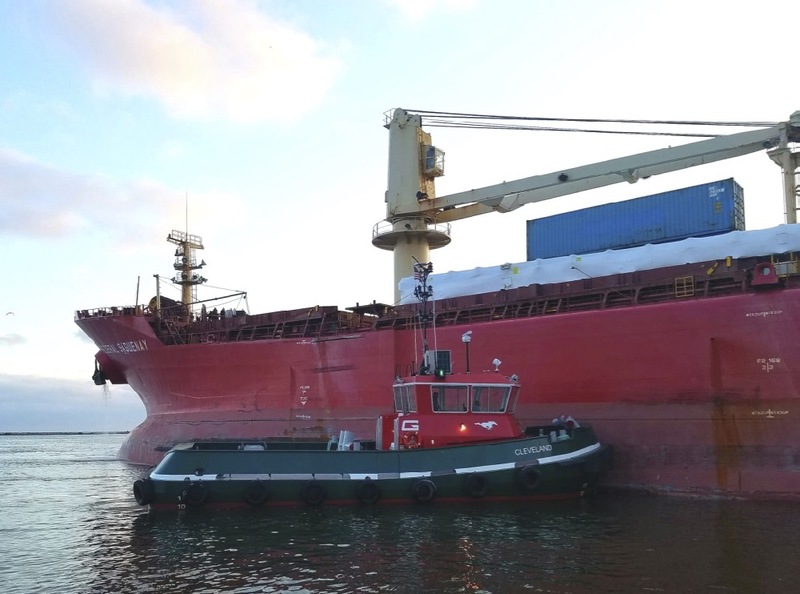 The harbor assist for our good friends at Fednav is a perfect start for the new tug, and we look forward to regularly operating her for service to all our customers, as she becomes the workhorse in the Port of Cleveland. 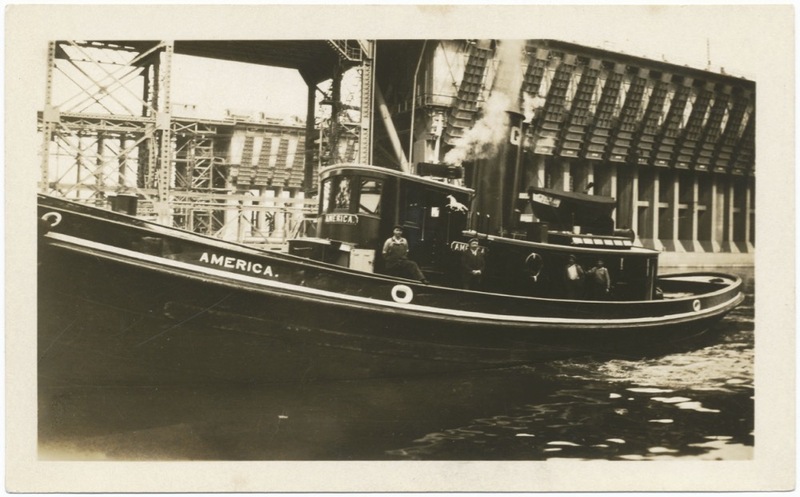 This was the first of ten (10) Damen Stan Tugs 1907 ICE planned to be built for The Great Lakes Towing Company by Great Lakes Shipyard, and marks the beginning of a new construction program to introduce two (2) new harbor tugs per year for the next five (5) years at the Shipyard’s facility in Cleveland, Ohio. 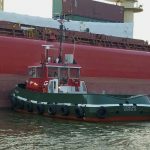 The new tugs will enhance the Company’s fleet and help to sustain the quality of its services at the highest level of safety. As each new tug is introduced into the fleet, two (2) existing tugs will be retired from service. These ten (10) new tugs will stabilize operations, reduce emissions, and improve day-to-day business. 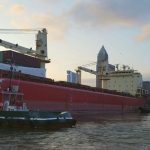 The new tugs, with the modern equipment and automated machinery onboard, will be ideal for the long-term sustainability of the Company’s harbor towing activities – providing customers with an even greater level of reliability, performance, and safety, across the entire Great Lakes service network. 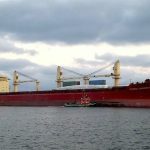 This new construction program is evidence of The Towing Company’s innovative spirit and reflects its commitment to its customers and the entire Great Lakes/St. 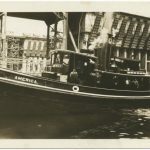 Lawrence Seaway marine transportation industry. “We continuously strive to improve the quality and safety of our products and services, and how well they are delivered to our customers. As leaders in the industry, we believe we have an obligation to make sure our customers receive the best service possible,” says Joe Starck, President of the Towing Company.